A couple of weeks ago Paul tilled the garden for me. The soil looks the best it has ever looked. So I'm hopeful it'll be a good year for the garden. At the corner post, you can see some of my kale from last year that survived the winter. I sat around eating bon bons in a lawn chair while the boys went to work. Okay, so there was no lawn chair. Or bon bons, sadly. Maybe on Mother's Day? I am hoping my asparagus will return this year. I fertilized the bed this winter, courtesy of the horses. I planted the seeds pictured below, along with some rhubarb. In a few more weeks, I'll add more goodies, like squash and cucumber and perhaps some melon. And tomatoes, of course! 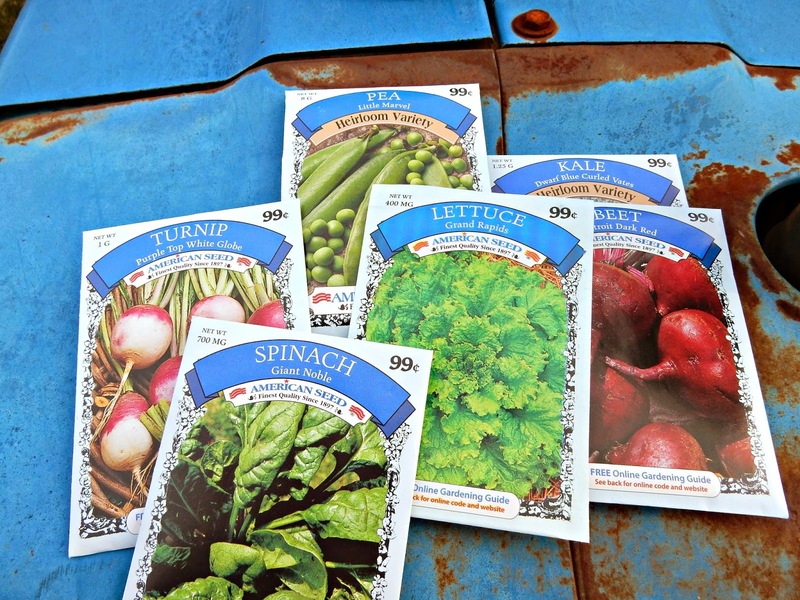 Readers, what are you planting this year? Hopefully spring is finally here! Nice to see the boys helping, I could not pay mine enough to rake for more than 5 minutes. I tend to just grow weeks, so I'm planting tomatoes, and not sure what else in planters..which may or may not work..because my thumbs are both purple. Tomatoes, of course. Peppers, both sweet and hot. Golden beets, yellow radishes, Tom Thumb container peas, Kentucky Wonder pole beans, and some funky patty pan type summer squash. Basil, dill, and cilantro/coriander. Round (ball) carrots. Oh, and probably some type of greens mix. Our son lives next door, and as we are not able to work the garden as in years gone by, he is in charge this year. 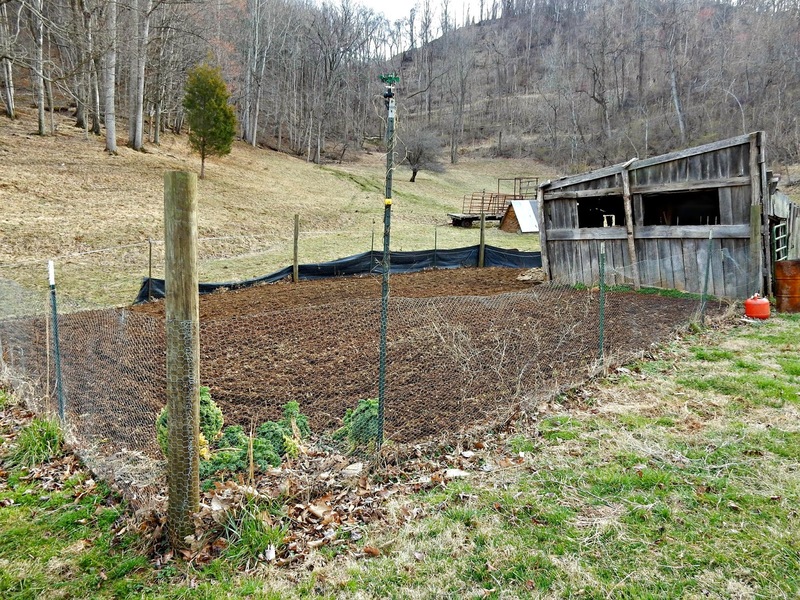 He has tilled the soil, made beds for different things and just waiting a couple more weeks to get it all in. The strawberries are moving right along tho! Loved seeing your boys get 'into it'! Send him over, I need mine done. I am getting my knee injected today, so looking for helpers. Busy little hands will be so delighted once their sprouts begin to show! The dirt in your garden does look great!! I can't wait to get mine started. We are suppose to have snow here on Saturday. That soil does indeed look wonderful! Horse manure is like gold! :) My garden will be sparse this year...I'm not doing a large one as usual because I'm not about to re injure my back and lose another 6 months! I'll probably put in some zucchini, cucumbers, potatoes, cantelope, tomatoes...the "easy" things that don't require a lot of picking, canning and freezing. We'll see. It is looking good and I can't wait to see your harvest! Oh, it all looks so good. And the boys seem very excited about it. Sadly, we do not have a garden in any year. We may plant wildflowers, though. The trees around your place look like those here. But soon they'll be all leafed out. I have a less ambitious garden planned for this year, probably just tomatoes and corn as it's my first serious attempt in a long time. We have drastically reduced our garden to the two plots in the backyard that are roughly the size of yours. Much more manageable. I've added rabbit manure to our garden soil this year, we've been told it's the best.. we shall see. I wish I had a garden - that looks like it is going to be awesome! Oh your soil looks wonderful! You have the best little helpers out there! We were just talking tonight about our garden. We need to work the soil in the raised bed and start getting some early things planted. Your soil looks rich! 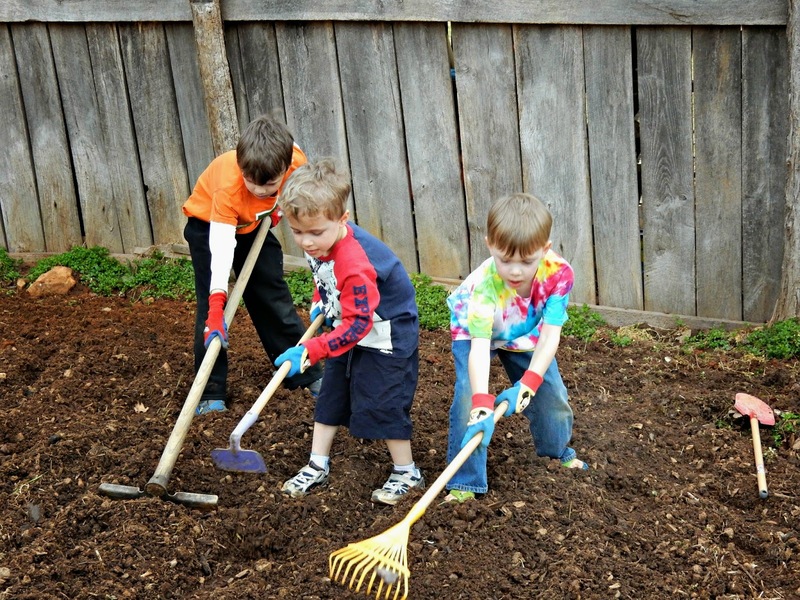 You have three great garden helpers! So lovely! Happy gardening,friend! It looks like you have wonderful helpers! That looks like a fertile plot! I'm jealous of your early planting date. We expanded our garden, so we're planting a lot this year. Oh! Your garden looks awesome. I live in an apartment in the city. Good Luck in all you do, Lisa! HAPPY EASTER TO YOU & FAMILY! What a great garden! I don't know where you find the time for everything--puppy adoption, gardening, baking, teaching, wife, mother. You do it all! I can't wait to hear about your garden adventures as you start picking yummy crops this summer. So cool!